Thank you, Mr. President. We welcome recommendations made to the Lao government. We regret that the government has noted and not accepted recommendations related to the protection of human rights defenders and the freedoms of peaceful assembly, association and expression. Despite committing at first UPR cycle to work towards an enabling environment for civil society and human rights defenders (HRDs) the government continues to restrict HRDs and civil society organisations. We remain concerned over the draft Decree on Associations and Foundations, which, if enacted, will further suppress the activities of civil society in the country. Furthermore, existing laws continue to impose severe restrictions on media freedom, and the newly introduced Decree on Information Management on the Internet criminalises criticism of the government online. We urge the Lao government to repeal or amend all existing laws that restrict the rights to freedoms of expression, peaceful assembly, and association including the Decree on Associations, the Decree on INGOs, the Media Law, the Law on Publications, the Internet Law, and various restrictive provisions in the Penal Law to ensure full compliance with international human rights standards. The government must also withdraw all regressive draft laws including the proposed Decree on Associations and Foundations. A pre-session for the Universal Periodic Review of the Lao PDR (scheduled for January, 2015) was held on 03 December in Geneva. While many international human rights organisations did not attend the session, a briefing paper summarising UPR submissions from some groups was compiled. Immediately undertake a prompt, thorough and impartial investigation, consistent with international standards, into the apparent enforced disappearance of Sombath Somphone, publicly release original images of the closed circuit television (CCTV) video of Sombath’s disappearance, and accept offers from foreign experts to assist in examining evidence, including the CCTV footage. 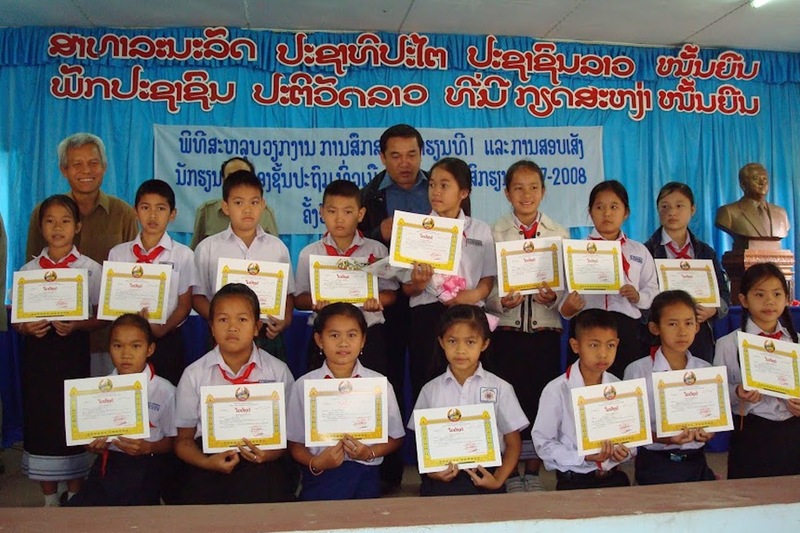 Implement the commitments made during the 2010 UPR, including by becoming a party to the ICPPED and incorporating all provisions of the various international human rights treaties to which the Lao PDR is a party. Amend its Penal Law to provide for criminal liability for all acts of enforced disappearance and corresponding penalties accounting for the extreme seriousness of these acts. Allow Ng Shui Meng, Sombath Somphone’s wife, to have access to files and findings of the investigation and other information to which she is entitled. Provide Ng Shui Meng with access to an effective remedy and reparation for the enforced disappearance of her husband. arrested on 2 November 2009 in connection with planned peaceful demonstrations calling for democracy, justice, and respect of their land rights. Sombath Somphone, perhaps the Lao PDR’s most prominent community development activist and founder of the Participatory Development Training Center (PADETC) was last seen on the evening of Dec 15, 2013 on a road in Vientiane. According to footage from a CCTV camera, he was stopped in his own vehicle by police, left it, and minutes later got into another vehicle and was driven off into the darkness. To mark one year since he disappeared and to ensure that the incident is not forgotten, the FCCT is pleased to host Sombath’s wife Ng Shui Meng who will speak about her husband’s life and work. Pablo Solón, Executive Director of Focus on the Global South. Mr Solon was the Plurinational State of Bolivia’s Ambassador to the UN and chief negotiator for climate change from 2009 to 2011. His brother (Jose Carlos Trujillo Oroza) was one of the forced disappeared in Bolivia in 1972 during the dictatorship of Banzer. His mother (Gladys Oroza de Solon) was co-founder of the Bolivian Association and Latin American Federation of the forced disappeared. Evelyn Balais-Serrano, Executive Director of the Asian Forum for Human Rights and Development (FORUM-ASIA). Ms. Balais-Serrano has over 40 years of experience in development, human rights and international justice work. Among other initiatives, she helped set up through the Task Force Detainees- Philippines (TFDP), a rehabilitation center for released political prisoners and torture victims and the filing of a class suit in Hawaii against President Marcos after 14 years of martial rule. She also helped establish the Human Rights Commission of the International Federation of Social Workers, where she served as Commissioner for Asia-Pacific for many years. Before returning to FORUM-ASIA in 2013, she spent 10 years as Coordinator for Asia-Pacific with the Coalition for the International Criminal Court (CICC), a global network of civil society organizations advocating for a fair, independent and effective ICC.